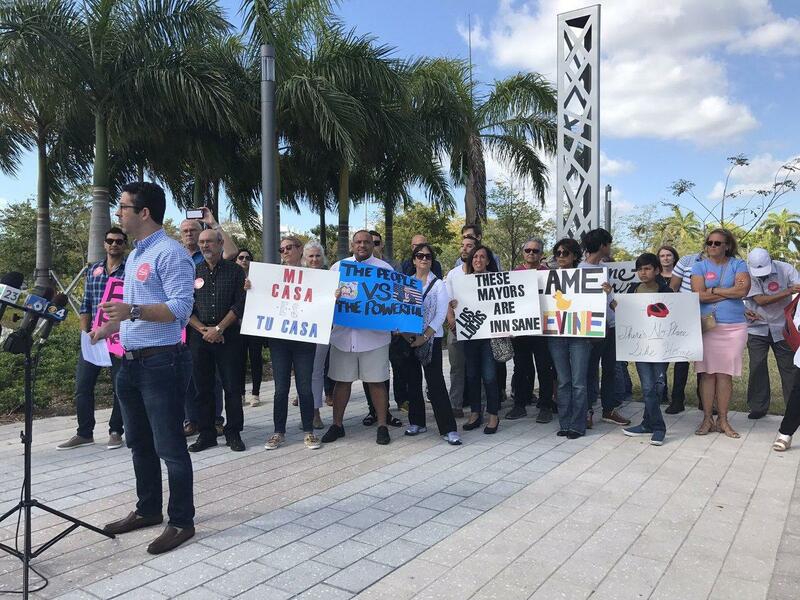 Protestors gather outside City Hall on Monday March 20, 2017 prior to a joint press conference with the city of Miami Mayor Regalado and Miami Beach Mayor Philip Levine on Airbnb. 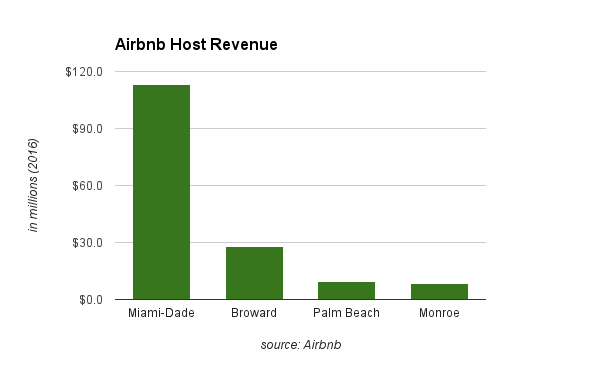 Tourism reporter for The Miami Herald Chabeli Herrera tells us more about the ongoing fight between Airbnb and Miami-Dade municipalities. We also ask our listeners whether they welcome the company in their neighborhoods. In 2012, Darren Rainey, who suffered from mental illness, died in a locked shower at the Dade Correctional Institution. Nearly 5 years later, an investigation by the Miami-Dade State Attorney's Office found no wrongdoing in his death. Miami Herald's reporter Julie Brown discuss the case as well as other instances of deadly abuse in Florida's prisons. 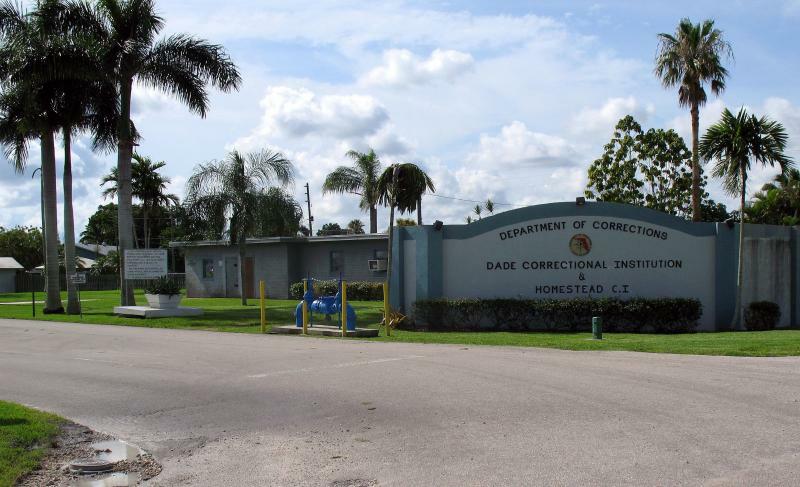 Read more: Is There A Culture Of Abuse At Dade Correctional? Plus, we track the latest legislative effort to cast shadows on Florida's public transparency law with reporter for WUFT-News Caitie Switalski and executive editor of News Service of Florida, Jim Saunders. Read more: Access To Public Records In Florida May Change. Why Should You Care About It? Access To Public Records In Florida May Change. 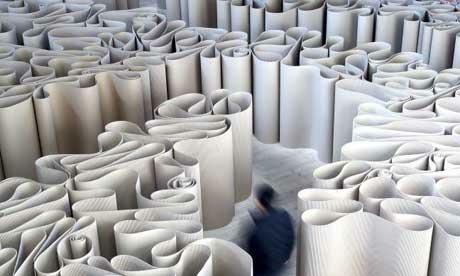 Why You Should Care About It? Florida allows some of the easiest access to government records and meetings of any state in the country under the state's Sunshine Laws. People have a right to access state documents like minutes from meetings between government officials, foster care case files and environmental studies. Government meetings for the most part are open to the public for anyone to attend. Is There A Culture Of Abuse At Dade Correctional? Almost two years ago, Darren Rainey was found dead in a scalding-hot shower at Dade Correctional Institution. Despite several accounts that the 50-year-old, mentally ill inmate’s death was the result of abuse, no one has been held accountable, nor has the medical examiner completed an autopsy. George Mallinckrodt was a psychotherapist who counseled inmates at Dade Correctional. He has filed a formal complaint to the U.S. Department of Justice regarding Rainey’s death. Mallinckrodt talked with me as former employee about the culture of abuse he saw -- and fought -- at the prison. Renting a spare room through Airbnb could soon become illegal in parts of Miami as it already is in Miami Beach, as mayors of both cities want to implement stricter rules on homeowners. 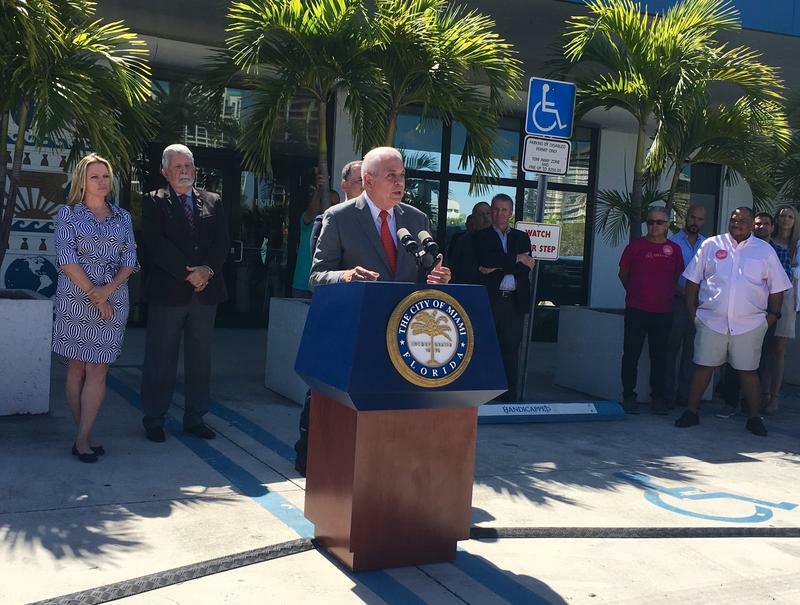 Miami Mayor Tomas Regalado will propose an ordinance to Miami city commissioners on Thursday to prohibit short-term rentals in some areas.